It was Samuel Goldwyn who said that nobody should even think of writing his autobiography until after he is dead. Autobiographies tend to be good reads but they mostly end as self-serving exercises that try to prove how right the authors were in their judgements, how prescient in their knowledge, how decisive in their actions – in short how they saved the world and made it better for us, poor nobodies who find pleasure in their outpourings, carefully winnowed to serve their purpose. 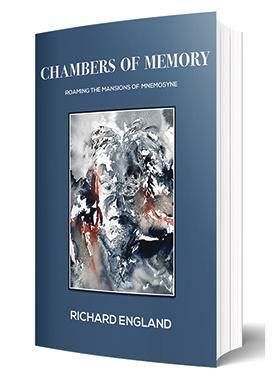 Prof. Richard England’s Chambers of Memory does not fall into that trap. He avoids the usual autobiographical formula and instead opts for 33 sections, each divided into five or six shortish subsections, dealing with family members; youthful reminiscences; mentors; architects; friends gone; favourite books, paintings, musical compositions, films, personal objects, tenors, and so on. In the end though one gets to know the author quite well and share his hopes, aesthetic concerns, philosophy of life, beliefs, attitudes, disappointments, but most of all his three great loves: family, architecture and Malta, his beloved Malta which he sees disintegrating and spiralling into crass vulgarity. One is also tempted to add a fourth passion: the tenor voice. What England calls a ‘mnemonic diary’ is easy to read because each part is never long enough to outstay its welcome but rather encourages one to dip into yet another one. In the end, England’s personality comes through – a pleasant raconteur often blessed with that rare gift of humour, yet one passionate about the important values of his life. England invites the reader to join him as he roams the vast chambers of Mnemosyne, the daughter of Uranus and Gaea, and goddess of memory. Memory is the only thing that gives meaning to our present and, hopefully, helps out fashion the future. It is the goddess that mostly serves us well, although she has been known to play nasty tricks on us. By far Malta’s most famous contemporary architect, acknowledged by such international luminaries as Renzo Piano, Victor Pasmore, Daniel Libeskind and Michael Spens, he was responsible for the still hauntingly beautiful Manikata church, the St James Creativity Centre, the Millennium chapel, the Ħanin Samaritan complex and a host of other iconic buildings, a good number of which have, alas, been unfeelingly demolished or ‘redesigned’ for the sake of lucre. Such is the fate of architects, especially locally, where it seems that the only buildings that should be protected are those erected in the Order’s time, if at all. England has also selected a good number of his punctuationless poems to accompany the text. He is no mean wordsmith with a most vivid imagination and an artist’s ability to weave ideas and images in a witty way that often gives very pleasant effect that lingers on the mind and the senses. Although his mother died in his infancy, England found a tower of strength and inspiration in his architect-father Edwin and a doting grandmother. Of course, our own Joseph Calleja features as one of his favourite tenors, a deserved choice not made out of blind nationalism. The sudden death of his dear father, to whom he was so close, left a profound mark on the young architect, not least because of its most macabre circumstances. Eclectic in his artistic tastes, England writes about his favourite paintings (that range from Bosch to Bernini to De Chirico), films (including Fritz Lang, Kubrick, and two by Greenaway), books (from the whimsical Diary of Adam and Eve by Mark Twain to the fascinating Little Prince), poets (from Pablo Neruda to Beat poet Bob Kaufman to Jacques Prevert), and music (composers as different as Bach and Glass), not to mention biblical ‘structures’ such as the city of Enoch, the tower of Babel, and Noah’s ark. As an architect, England is obviously fascinated by structures and places. Locally, he writes with devotion about Ġgantija, Dwejra and the Citadel, all three in Gozo, as well as Mdina and the captivating islet of Filfla, one of his constant muses. Away from our shores, there is Deir el Bahri in Luxor, Petra, Le Corbusier’s chapel at Ronchamp, the magical Santorini, the ‘perfect’ Parthenon, and Rome’s Parthenon. One section is dedicated to Architettura Interrota, architectural projects that, for some reason or another, remained on paper. Some, like Villa Girna (1966), the Filfla chapel (2000) and the intriguing Ħal Farruġ church (2002), are indeed most appealing, although I must say that the proposal for a Comino village would not have added allure to the pristine islet. Two sections deal with male and female guests whom England imagines sharing dinner with. They are a mixed kettle of fish, including Mary Magdalene, Hatshepsut and Joan of Arc (an invited Eva Braun never turned up). The male invitees include the Mnajdra temple architect, Senenmut (Hatshepsut’s architect and close key adviser), Caravaggio and Oscar Wilde. The table talk is most vivid and many questions about art and life are raised, if not solved. England also finds time to salute ‘those now gone’ – those with whom he had a close and meaningful artistic relationship, like Charles Knevett and Michael Spens, and the locals Paul Asciak, Charles Camilleri and Gabriel Caruana. The latter, unfortunately, earned inclusion by a few weeks when the book was being prepared for publication. A special place is reserved for his very close friend Peter Serracino-Inglott, one of the great minds the island produced and an unfailing source of inspiration for England as he was for so many other artists and intellectuals in post-Independence Malta. In his long career, England had not a few meetings with the high and mighty, both local and foreign. The many anecdotes he recounts are often spiced with humour, as was one of his several encounters with Dom Mintoff, when he misunderstood the perit’s ‘generous’ offer for him to take a few oranges from his garden on his way out. And the way the perit forced an international architect to hand him over his large belt buckle before he left. Then there is the witty note he received from the patron for whom he had designed a mortuary chapel, who told him that it was so nice that he was dying to use it! Away from our shores, he had interesting meetings with Saddam Hussein and also experienced his secret service. Then there is the fateful invitation to Dagestan where England ended sans luggage and had to shop for essentials in Soviet-era ‘big shops’ which stocked no vests or socks but had available shocking pink boxer briefs. And the huge Kazakhstan mayor who was not pleased with the price proposed for a project – his secretary being kind enough to warn him, and not as a joke, that his excellency was a very nervous man who had an Olympic silver medal in wrestling. England narrates with verve many anecdotes involving the famous and the not-so-famous. The Manikata church features not only in his meeting with the initially not so appreciative Archbishop Gonzi but also in the clever remark the farmer gives the parish priest who was reluctant to say Mass for a congregation of one. I, and presumably all others who read through the book, would have liked to see the various section heading subdivisions and page numbers inserted in the table of contents. The absence of running titles, moreover, makes it frustratingly difficult to look for particular sections or to find sections one may want to go over again. This makes it something of a reviewer’s nightmare, since it is quite a task to find an incident again which you are sure to have read. However, at least we should be thankful that Prof. England did not follow Sam Goldwyn’s advice.